LAHANA is one in only a handful of competitive 100ft maxi yachts around the world today. Originally named ZANA (Konica Minolta), she was launched in 2003 - designed by Brett Bakewell White and built by Hakes Marine in NZ. Her extensive inventory represents a fully funded and competitive program in which LAHANA has been run and maintained without cutting corners; indeed she is a much more superior yacht now than when new. Extensive IRC optimizing over the last three years have resulted in LAHANA’s dramatic performance and rating improvements. 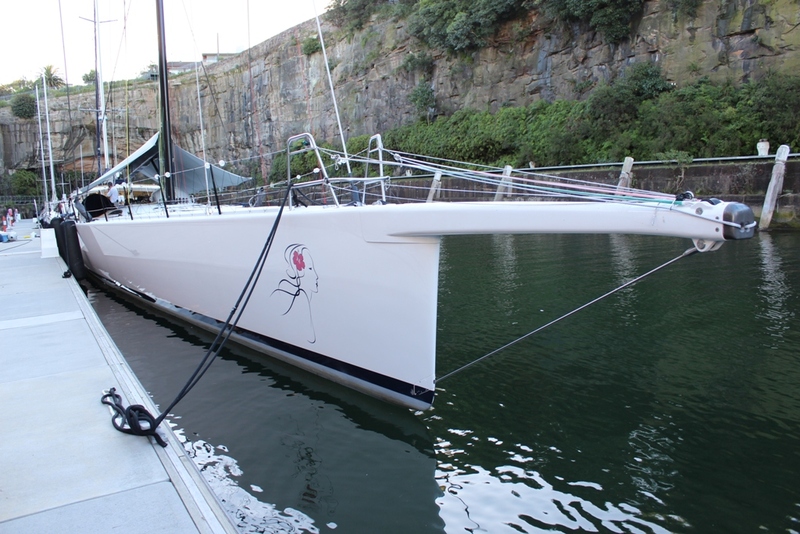 The rig, sails and underwater profile have all been developed leaving her a real IRC contender. Priced to sell with motivated vendors - step on and race ready for Hobart, this is a great opportunity for a big boat enthusiast. Listing is offered under co-brokerage with Vicsail Sydney. 40’ container fully fitted out with sail racks and workshop. Since arriving in Australia in 2009 the owners have been committed to improving the boats performance under IRC (See page 5) and have been fully committed to maintaining the boat to the highest standards. The recent results back up these works with a 1st in IRC Brisbane to Keppel 2011, Line Honors – Brisbane to Gladstone 2011 and 3rd on Line Honours and 3rd in IRC Division – Rolex Sydney to Hobart 2010. Lahana has undergone major modification over the last 3 years to keep optimizing her speed performance while remaining very competitive under the IRC rating.